Do you want your child be the New "Kapamily Little Star"? Here is your chance to be a "Kapamily Little Star". The audition is open to all girls age 6 to 9. Bring your audition material, close up and whole body picture (3R). Schedule of audition will be on July 28 – July 29, 2012 at 8 am – 3 pm. The following are the audition venue. What are you waiting for? 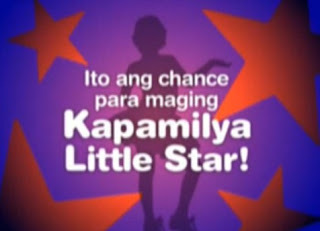 Join and be one of the little Stars in ABS-CBN and be the newest Kapamilya.